SoftBank-backed digital wallet Freecharge could soon be sold for as low as $150-200 million, reports Economic Times. This value is merely 50 percent of what FreeCharge is worth. Reportedly, Alibaba-owned Paytm is one of the frontrunners to buy the mobile wallet platform owned by Snapdeal if both parties agree to the terms. Citing sources, the report adds that SoftBank’s priority at the moment, however, is to sort out the shareholder discord at Snapdeal and seal the deal with Flipkart; only then will FreeCharge be sold. Apparently, no consensus could be reached on the sale proposal at Tuesday’s board meeting of Snapdeal, where Softbank has a significant stake and board representation, but the Japanese telecom and internet conglomerate is continuing to work on getting the support of other directors. Snapdeal’s parent company Jasper Infotech bought FreeCharge two years back in a deal worth $400 million, in a combination of cash and stock. 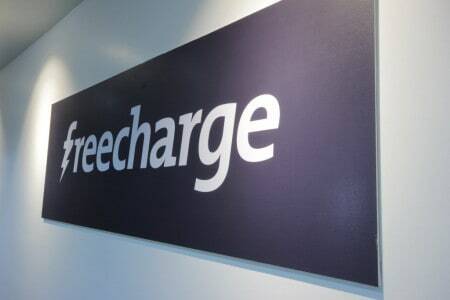 In the past year, Freecharge has talked to global payment majors like PayPal and PayU for raising fresh capital, but nothing came through. According to sources, Paytm may shell out around $150 million, provided Freecharge comes with exclusivity rights, wherein the Noida-based company becomes the sole payments option on platforms like Snapdeal and Flipkart. “As these e-tailers have plans to sell financial products in the long term, such exclusivity agreements will help Paytm’s financial services business,” the source added.